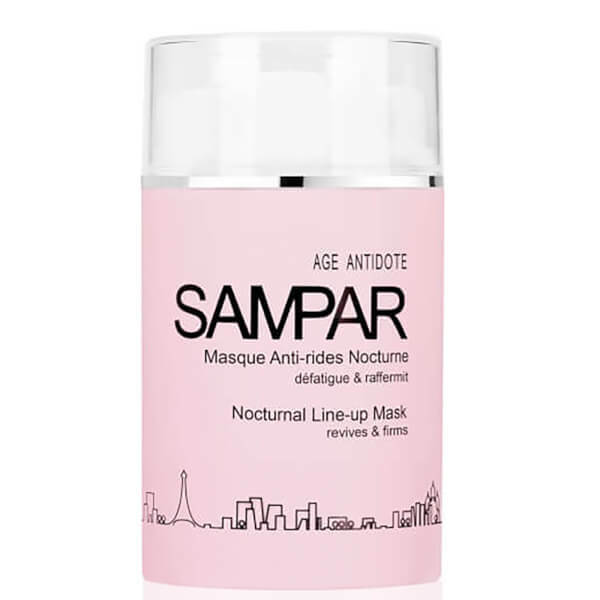 Transform skin overnight with the SAMPAR Nocturnal Line Up Mask; a powerful anti-ageing treatment that works while you sleep to boost collagen and elasticity levels as well as intensively hydrate for age-defying results. Developed through two years of extensive scientific research, the rich formula veils skin with a host of natural actives combined with advanced technology to deliver proven efficacy, including Adenosine, which works to counteract dermo-contractions that lead to expression lines, dramatically enhancing skin’s natural ability to reproduce collagen, elastin and hyaluronic acid through the night. Biopeptides seek to minimise the depth and length of even the most stubborn set wrinkles, activating cellular renewal for a firmer and more even texture, while the proprietary Urban Advance Complex utilises Shea Butter Serum, Mint Endorphin and Probiotic Sugar to form an antioxidant shield that combats dulling free radical damage and cellular deterioration. Suitable for all skin types, the face mask delivers an instant brightening and lifting effect, and wrinkles appear visibly reduced in as little as two weeks. 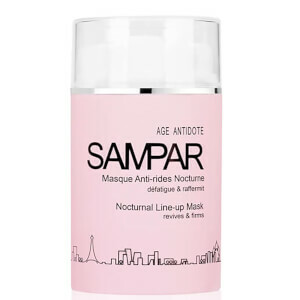 Attain true beauty sleep with the Nocturnal Line Up Mask. For dry skin, follow with a moisturiser. Tilia Cordata (Linden Water), Citrus Dulcis (Orange Flower Water), Aesculus Hippocastanum (Horse Chestnut Extract), Zea Mays (Corn Starch) Glyceryl Linolenate , Glyceryl Linoleate, Butyrospermum Parkii (Shea Butter) Extract, Soluble collagen, Polysorbate 20, Carbomer, Phenoxyethanol, Methylparaben, Propylparaben, Ethylparaben, Butylparaben, Isobutylparaben, Glycerin, Lactitol, Xylitol, Mentha Piperita (Peppermint Extract), Butylene Glycol, Sodium Hydroxide, Chlorphenesin, Parfum (Fragrance), Citronellol, Geraniol, Butylphenyl-Methylpropronal, Tetrasodium EDTA, Tocopheryl Acetate, CI 14700 (FDC Red No. 4).